The idea of putting on your favorite pieces of jewelry and never having to take them off is a concept we'd like to make a reality, and surely you'd say the exact same. While swapping some more novelty pieces into your jewelry rotation every once in a while is definitely necessary, having those daily go-to pieces you truly never have to take off is even more necessary, and we're about to show you some of our favorite iterations of it via bracelets. Ahead, we've rounded up five bracelet trends that are so versatile you'll really never have to take them off (unless you want to, of course). This means you can sleep in them, go out in them, wear them with just about anything, and feel just as polished as if you'd linked the bracelet on your wrist for the very first time. Easy and timeless bracelet trends? Coming right up. Ultra-thin, barely there bracelets mean you can layer on a statement piece, dress up, dress down, go to sleep, shower—the list goes on and on—without ever having to take them off. The tried-and-true classic bracelet trend is making a comeback in a major way, and while they definitely offer more sparkle than their barely there brethren, tennis bracelets are guaranteed to go with everything. Chain-link bracelets might not be the first thing you think of when pondering the easiest jewelry trends of all time, but we'd argue they should be. 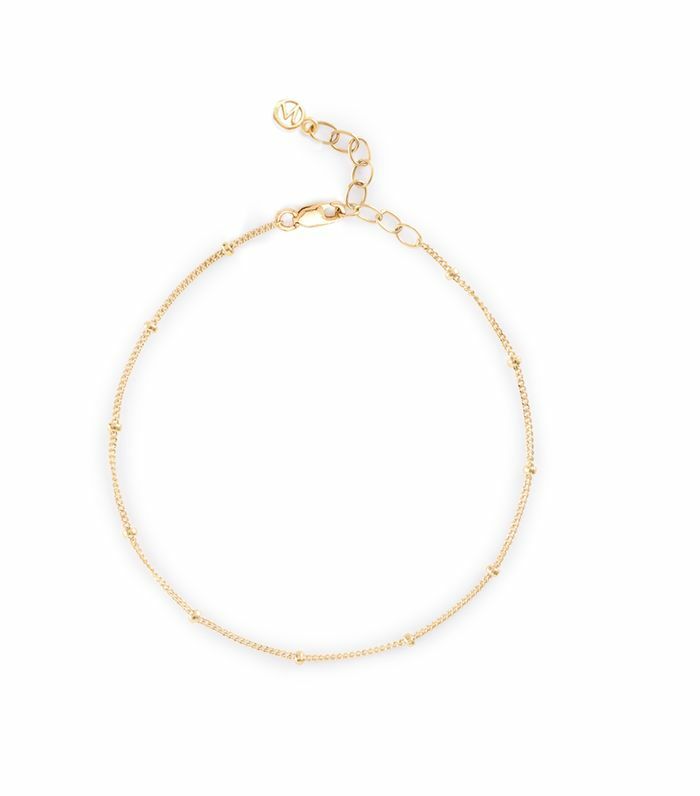 The addition of a thicker chain bracelet to your arm party will instantly add a focal point to your jewelry look du jour. Add that touch of sentiment to your daily jewelry assortment with a shell bracelet. Whether you picked yours up while on vacation or purchased it on Net-a-Porter, this is one trend guaranteed to keep you smiling. Last but not least, we have charm bracelets, the trend sure to induces waves of nostalgia and a reminder of your simpler childhood times. The little charms will spice up your look day in and day out. Next up, find out how fashion-y people will style bike shorts in 2019.